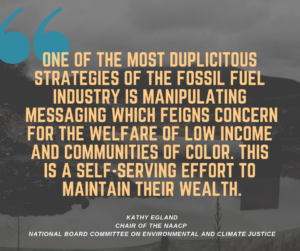 BALTIMORE (April 1, 2019) On April Fools’ Day, the NAACP Environmental and Climate Justice Department is releasing, “Fossil Fueled Foolery: An Illustrated Primer on the Top 10 Manipulation Tactics of the Fossil Fuel Industry.” Read the report here. The report takes aim at the well-documented strategies and tactics employed by fossil fuel companies, lobbyists and advocates to manipulate communities, policy makers, and academia in ways perpetuating polluting practices that harm communities and the environment. 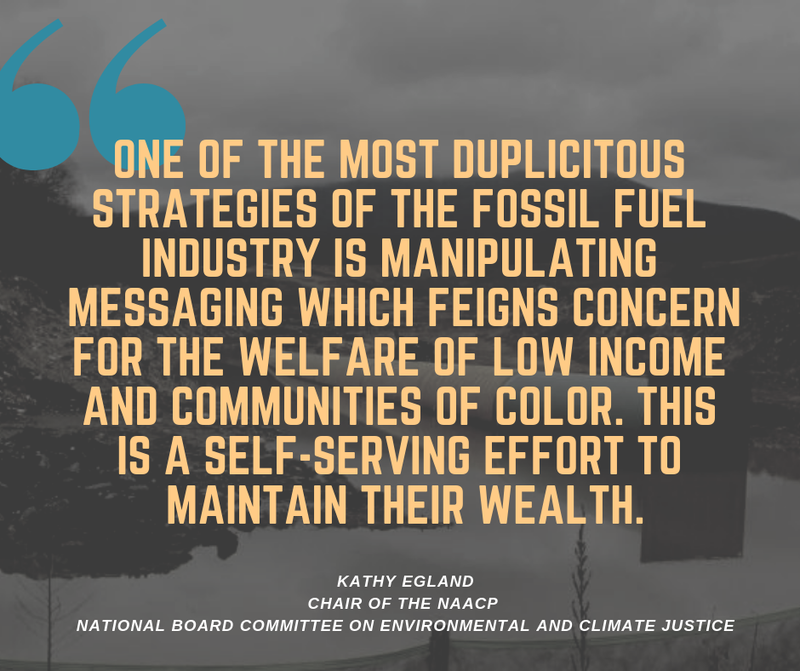 “One of the most duplicitous strategies of the fossil fuel industry is manipulating messaging which feigns concern for the welfare of low income and communities of color. This is a self-serving effort to maintain their wealth,” says Kathy Egland, Chair of the NAACP National Board Committee on Environmental and Climate Justice. “The unmitigated gall, to use as pawns the very demographics that they have caused such disproportionate harm through their polluting practices, reflects the low levels to which they will sink. Greed has no moral or ethical bounds, and we will continue to expose their foolery in seeking to deceive our communities,” she added. For Jacqueline Patterson, Senior Director of the NAACP Environmental and Climate Justice Program, the key goal of this report is to empower NAACP branches, members and elected officials to understand the disingenuous ways in which this industry promotes policies dangerous to our communities and the planet. “In releasing this paper, our central aim is to ensure that our branches, chapters, and state conferences are fully aware of the practices employed by too many in the fossil fuel industry, to attempt to entice them to act against the interests of the communities we serve,” said Patterson. “We also lift up the many examples where our local leaders see these machinations for what they are, resist, and lead in the transition to a new, sustainable and just energy economy,” she added. 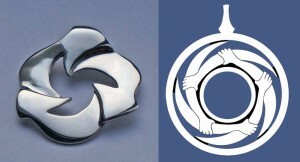 This entry was posted in Citizen Activism, Environmental Impact, Environmental Justice, Press Releases on April 1, 2019 by Ellen Bouton. Around a thousand people gathered at Buckingham Middle School on February 19, 2019, for A Moral Call for Ecological Justice, which included as keynote speakers former Vice President Al Gore, and Rev. Dr. William Barber, co-chair of the Poor People’s Campaign. Breaking Through News reporter Elaine Rackley was at the rally and has prepared a series of stories about the environmental justice event. This entry was posted in Air Quality, Citizen Activism, Compressor Stations, Environmental Impact, Environmental Justice, Events on February 28, 2019 by Ellen Bouton. Civil rights activist William Barber II, of the Poor People’s Campaign, and environmental activist Al Gore, along with his daughter Karenna, visited Buckingham on February 19, 2019, for meetings with Union Hill residents and anti-pipeline activists (closed to the press), followed by an evening meeting at Buckingham Middle School, where 700-1000 people heard speakers call for justice and tell their stories. Over and over, both speakers and the wide press coverage surrounding the day’s events, pointed out Governor Ralph Northam’s failure to protect citizens from Dominion’s corporate interests, his interventions on behalf of Dominion, and his blatant failure to fulfill his recent promises for racial reconciliation by opposing the pipeline project and supporting Union Hill. 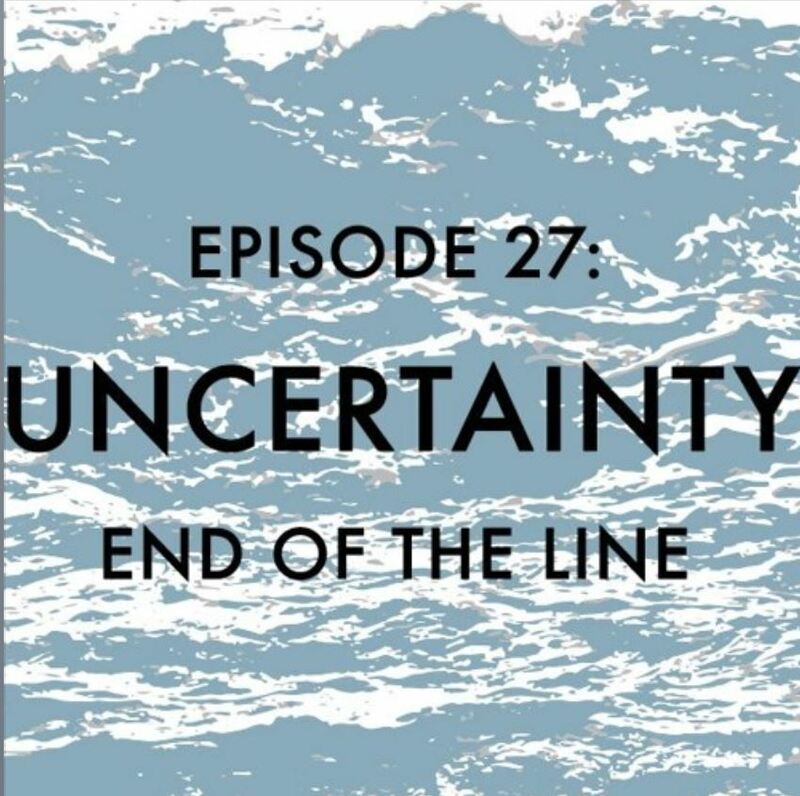 This entry was posted in Compressor Stations, Environmental Impact, Environmental Justice, Events on February 20, 2019 by Ellen Bouton. It is unfortunate you were unable to attend the February 19 meeting in Buckingham County, with keynote speakers Rev. William Barber and Al Gore addressing “The Moral Call for Ecological Justice”. The presentations were comprehensive in outlining the many injustices that would be visited on the Union Hill community if Dominion is allowed to build a huge compressor station there. You could have learned a lot had you been there, and we encourage you to take the time to review the video now available online. At this point in your governorship, you have conveyed the message that you have no real concern about environmental justice or Union Hill. You first dismissed the report of your Advisory Council on Environmental Justice as a draft, and when council leaders made it clear that the report was, in fact, their final report, you simply ignored it. Late in the review process, after a secret meeting with Dominion’s CEO, you abruptly removed two members of the State Air Pollution Control Board who had raised concerns about the potential compressor station’s impacts on area residents. 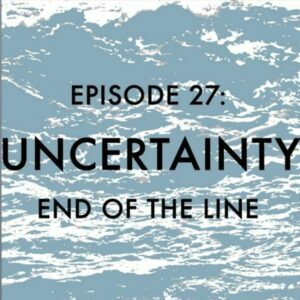 You have allowed the Director of the Department of Environmental Quality to carry out his duties in a way that indicates he supports building the pipeline rather than doing his job in a neutral way. You have shown no concern that the Air Pollution Control Board’s last hearing on the compressor station was a meaningless show leading to a pre-arranged permit approval. In all, your actions regarding the compressor station at Union Hill are a dereliction of your duty to citizens of the Commonwealth. If you are to fulfill your promise of leading Virginia forward you will need to do much more than apologize for past mistakes or make vague promises to ‘heal’ Virginia. You will need to take concrete action toward dismantling institutional racism. Your position gives you both the authority and the responsibility to lead on this. The path you have laid out for yourself will be long and difficult. For the sake of all the citizens of Virginia and the country, we hope you persevere and succeed. We will be watching closely. This entry was posted in Air Quality, Compressor Stations, DEQ, Environmental Justice, Events, Virginia government on February 17, 2019 by Ellen Bouton.